Add a little spice to your life with Cinnamon and Ginger, two lovely ladies. 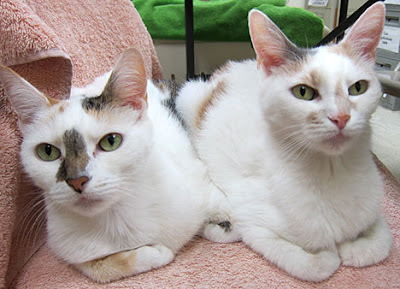 Every night when you come home from work, the calico kitties will greet you at the door with a little "meow." 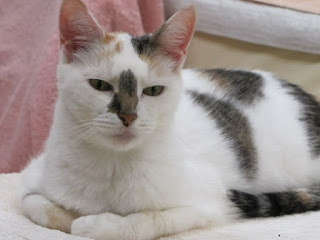 The senior cats were abandoned and taken in by a caring woman. However she could not afford to keep them as she had other cats. The sisters are now at PAWS, a non-profit shelter, in Norwalk, CT and are looking for their forever home as a pair. 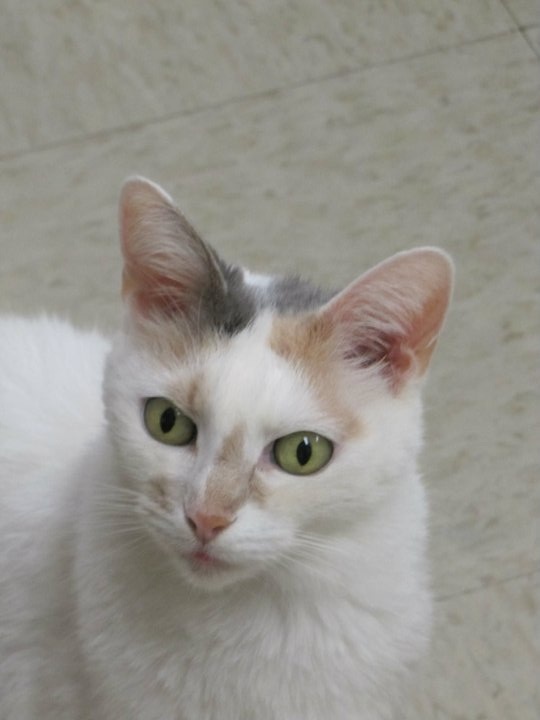 Cinnamon is a dilute calico and Ginger is a darker-colored calico. The mellow ladies spend their days lounging in sunbeams. They would love to curl up next to you. Come meet these cuties and savor their sweetness. Approximately 12 1/2 years old, spayed, current on all vaccinations, tested negative for FIV and FeLV, both get along well with other cats. Cinnamon is hyper-thyroid and takes meds in the morning and evening. She likes pill pockets and easily takes her medicine. They are looking for a quiet home as they are older. You can read more about the cats here at the PAWS website. Or if you are interested, you can contact PAWS and sponsor Cinnamon and Ginger or one of their other kitties. Oh thise dear sweeties are beautiful and how sad for them. We are hoping for a good new loving home for these cuties. Mom wishes she could adopt all the needy kitties that need homes, but, alas, she could only adopt me. I will wish really hard that they get homed soon. There are new beans somewhere. I just know it. Keep us up to date, please? What pretty ladies they are!